Notting Hill is incredibly well connected to the rest of London via tube as there are three tube stations in the vicinity. The most central tube station is Notting Hill Gate which is on the Circle, District and Central lines. This means that you can be stopping off at Oxford Circus and shopping on Oxford Street in around 8 minutes, touring St Paul’s Cathedral from nearby St Paul’s Tube Station in under 15 minutes, and arriving at Westminster to see the Houses of Parliament in 12 minutes. You will find Westbourne Park and Ladbroke Grove tube stations on the Hammersmith & City line, so you can travel to Hammersmith Tube Station in around 6 minutes and Baker Street in just 10 minutes! You will find parking dotted all over Notting Hill, but if you’re looking for the safety and security of an NCP car park you will find two nearby in neighbouring Bayswater. 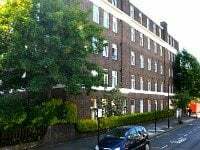 These are London Arthur Court which is on Queensway, and London Colonnades which can be found on Porchester Terrace North. Black cabs are always in plentiful supply in Notting Hill so you can hail one on the street. There are plenty of taxi companies in the area too. These include Fast Services on Wellington Terrace near Notting Hill Gate Tube Station, Regal Cars and Kensington Express Cars on Ladbroke Grove (near Ladbroke Grove Tube Station), plus Abbey Cars in Elkstone Road and Datacab on Woodfield Road (near Westbourne Park Tube Station). 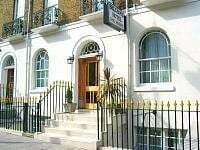 Amazing tourist attractions are within easy walking distance of Notting Hill. If you start out at Notting Hill Gate Tube Station you can walk to bustling Queensway in Bayswater that’s lined with cosmopolitan restaurants in around 8 minutes. The vast expanse of Kensington Gardens is only 10 minutes away and beautiful Kensington Palace only 5 minutes more. You could even take the 5 minute walk to Kensington High Street from here to go shopping! Alternatively you will find that Shepherds Bush attractions like the Shepherds Bush Empire and Westfield London are only 20 minutes away on foot, as is Paddington Train Station. Even the huge Natural History Museum in South Kensington is only a 30 minute stroll away!